While in sixth grade, Lania* lost her leg to an infection. She had always enjoyed athletic activities, but being new to the prosthetic world, she was hesitant to try out adaptive sports on her own. At her mother’s insistence, she stopped by an inclusive basketball game at Nottingham High School hosted the Fit In network and Move Along, an organization that allows children of all ability levels the opportunity to try out adaptive sports, such as wheelchair basketball, sled hockey or hand cycling. While there, she tried out a sports chair—a specialized athletic wheelchair. She was surprised by how fun and easy it was to be active thanks to the help this device provided. Lania discovered a new sense of freedom in the high school gym that day, thanks to having the opportunity to try this activity that was so new to her. The following summer, Lania was flying down the path at Onondaga Lake Park on a hand cycle, an adaptive way to ride a bicycle. “She’s smiling and having a great time, when she didn’t think she could ride a bike anymore,” said Move Along’s Executive Director, Jeff Wright. Move Along’s inclusive sports program promotes understanding of disabilities among the abled-bodied students and introduces an active recreation community to those with disabilities. “If I can demystify somebody sitting in a wheelchair, then I’ve gone a great distance forward,” said Wright. 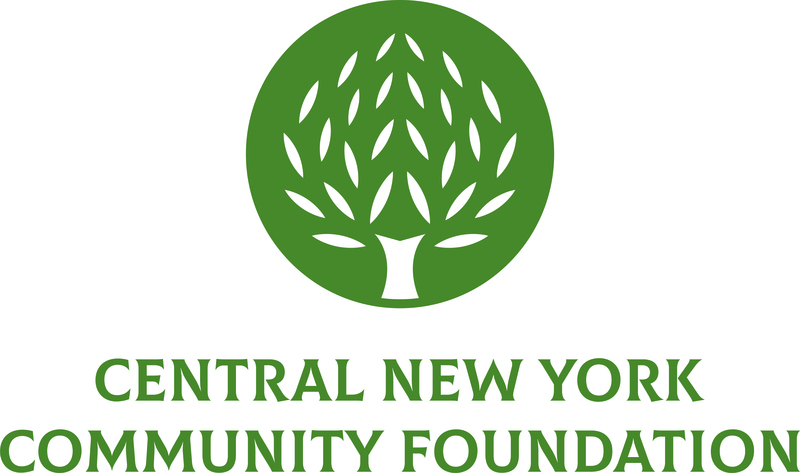 In December, the Central New York Community Foundation awarded Move Along a $5,886 Community Grant for the inclusive sports program to visit area schools. Wright hopes that the inclusive sports program will help the organization reach all 1,300 individuals with disabilities in the five counties it serves. Move Along’s inclusive sports leagues bring together a community of all abilities in Central New York. Basketball, its most popular program, runs from October through April for both youth and adults. The adaptive version of ice hockey, called sled hockey, runs through the winter. 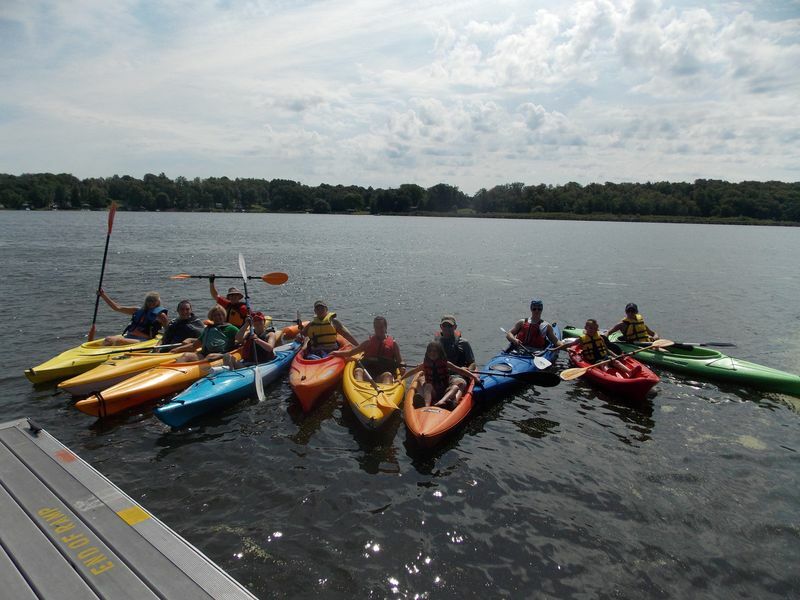 During the summer, there is kayaking, paddling and hand cycling available. Swimming is also offered during the spring. Those of all ages and ranges of ability are included in the programming. “Knowing that someone’s on the same road that you’re on is so liberating and uplifting for that individual,” said Wright. Steven* came to the youth basketball program after a summer ATV accident left him paralyzed from the mid-chest down. “Steven entered our youth basketball program by his parents probably begrudgingly because he wasn’t smiling when he started,” said Wright. But after only seven sessions of the program, Steven’s outlook completely turned around. He was one of the first ones coming through the door and ready to play. Staying active also wards away more health problems for individuals with disabilities. Active individuals with disabilities are less likely to have medical procedures and amputations. Plus, being active can just be fun. The sled hockey team has gone to nationals the past two years, getting third place in each tournament. A young adult on the team is in the process of being promoted to the Paralympic level of the USA sled hockey developmental team. *Name has been changed to protect identity of minors.